Let's Kill 2nd EditionAtlas Games ISBN 1589780825Have you ever had the urge to start beating some know-it-all who really deserved it, but were held back by those frustrating social boundaries? Ever wanted to go psycho on a bunch bleached-blonde cheerleaders, or the pretentious beatnick at the corner coffee shop? Ever wanted to achieve fame through your horrifying actions? Let's Kill may help relieve that urge. 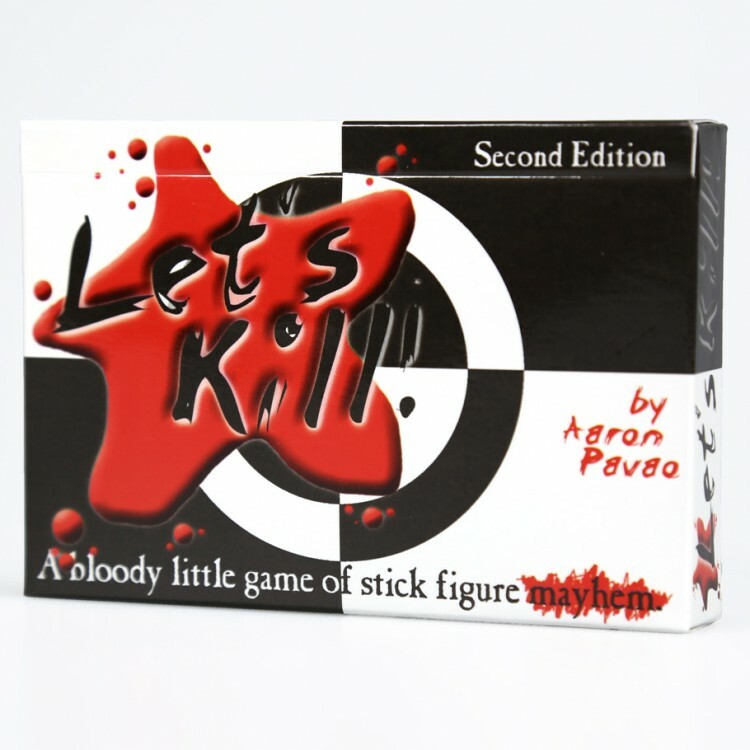 In Let's Kill, you play a psychotic killer determined to kill as many people as possible in the most bizzare ways you can think of, using everything from sporks to weed whackers to industrial paper shredders, while gaining as much media coverage as you can.Let's Kill is a bloody little card game featuring distinctivestick figure art and gruesome humor. Let's Kill Second Edition retains the look and feel of the original game published by Sancho Games, while polishing the mechanics and increasing production values. 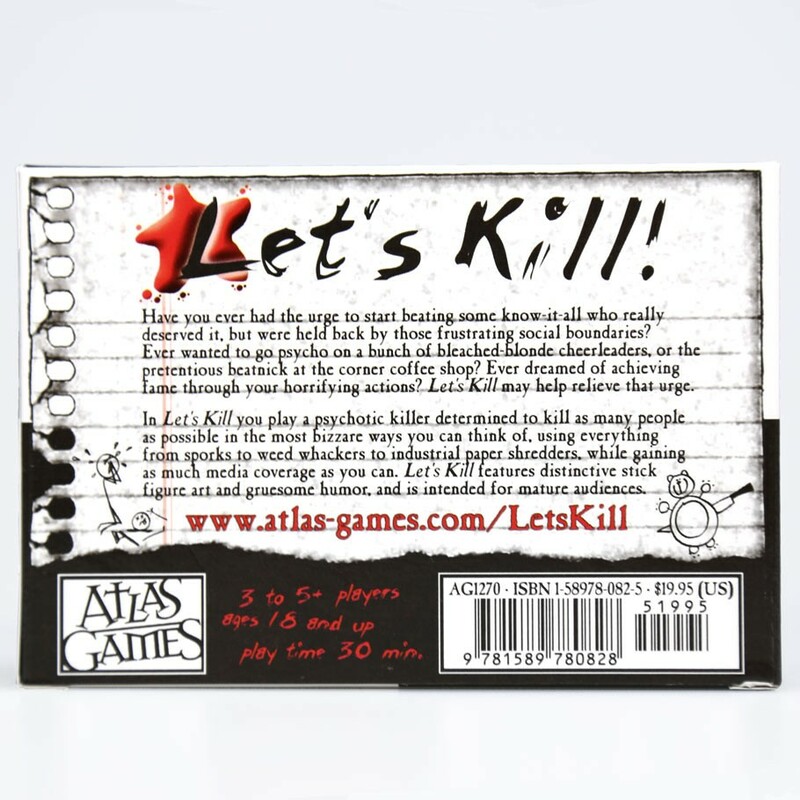 Let's Kill Second Edition will include two 55-card poker-size decks and a rules sheet in a tuckbox.